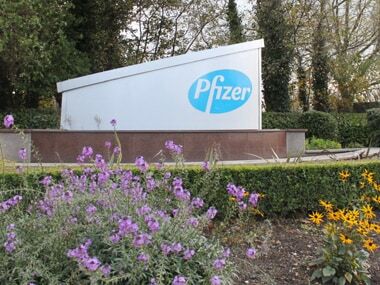 US-based pharmaceutical major Pfizer will close its two plants in India as the firm finds production at these places is not viable due to lack of product demand in the future, said media reports. The two plants are located in Aurangabad in Maharashtra and Irungattukottai near Chennai in Tamil Nadu, said a report in Moneycontrol. The two units together employ about 1,700 people and the drug major is yet to disclose about the exact timing of the closure of the facilities, said the report. “Pfizer has conducted a thorough evaluation of the IKKT (Irungattukottai) and Aurangabad sites and concluded that due to the significant long-term loss of product demand, manufacturing at these sites is not viable. As a result, Pfizer is announcing that both the Aurangabad and IKKT sites will immediately cease manufacturing with the intention to exit both sites as soon as possible in 2019,” Pfizer spokesperson was quoted as saying by the Hindu Business Line. The Irungattukottai and Aurangabad plants had come under Pfizer ownership after the pharma major acquired US-based Hospira for about $15 billion in February 2015 to boost its portfolio of generic injectable drugs and copies of biotech medicines. Hospira makes generic versions of injectable drugs that are widely used in hospitals, through vials, syringes and bags, as well as pumps used to deliver them and other fluids. It also sells several biosimilars, or copies of biotech drugs, overseas and has others in development. Pfizer and Hospira are dominant players in the hospital anti-infectives business and are also developing many of the same biosimilars, so Pfizer could wind up selling many overlapping products, Suntrust Robinson Humphrey analyst John Boris said, Reuters reported. In December 2018, GlaxoSmithKline and Pfizer announced the merger of their consumer healthcare units that produce over-the-counter medicines. The tie-up of over-the-counter brands including GSK's Sensodyne toothpaste with Pfizer's Centrum multivitamins paves the way for British group GSK to have two UK-listed companies, one specialised in the development of drugs and the other in consumer healthcare.